The EC Series chargers are microprocessor controlled, easy to setup and easy to operate via a user-friendly LCD screen. These highly reliable chargers include many standard features including: filtering (battery eliminator), internal temperature compensation, local alarms with indication on the LCD screen, summary alarm via Form C relay, a summary alarm buzzer, a ground pad plus many more. The single phase EC Series chargers are available from 24 to 130 Vdc and rated from 6 to 50 Amps. They are compatible with flooded lead-acid (FLA), valve-regulated lead-acid (VRLA) and nickel-cadmium (NiCd) battery systems. 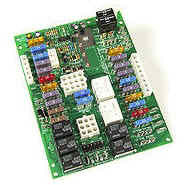 * 100mVrms for 130 Vdc models. Meets or exceeds NEMA PE5-1996 requirements.